Dr. Steven Leath will be formally installed as Auburn University’s nineteenth president on Thursday, March 29th, in a ceremony in Auburn Arena. Beginning at 10 a.m., the ceremony will include the conferring of the articles of office and Dr. Leath’s inaugural address as he shares an inspiring, innovative, and transformative vision for Auburn’s future. The installation marks a pivotal moment in Auburn’s history. Under his leadership, our institution is positioned to advance its role as a leading land-grant university by expanding economic development, increasing educational access, and advancing social change. Going forward, Auburn’s impact will be seen in the research and creative activities we undertake, the graduates we produce, and the meaningful benefits our programs bring to the broader society. 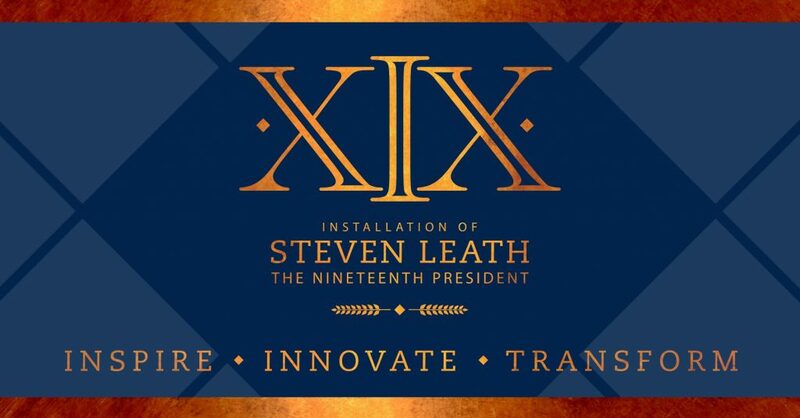 While you may not be able to attend the installation in person, you are invited to watch by livestream at www.auburn.edu/auburninspires and hear from Dr. Leath as he assumes his new role. In advance of the ceremony, I encourage you to visit the installation website and read the vision statements, which serve as a precursor to his formal remarks. With an emphasis on cultivating the next generation of student leaders, expanding Auburn’s role as a partnership university, advancing transformative research and scholarship, and elevating our engagement with business, industry and government, Dr. Leath is positioning Auburn to meet today’s education needs while offering innovative and accessible approaches to instruction, research, and outreach. As Dean of the School of Forestry and Wildlife Sciences, I hope that you will join me in officially welcoming Steven Leath to the presidency of Auburn University. Together, we will ensure his installation symbolizes the shared vision and values that so uniquely define the Auburn Family.